An effort to make efficient use of every last drop, stem, crumb, and moment. I keep meaning to make soup. It’s so simple and productive for using up leftovers. For some reason, I continue to be intimidated. I wish I could be more like my Mom, who, hours after I had left her with a bunch of green tops from leeks, produced a lovely puréed leek green soup. In my defense, I recall bad experiences cooking soup. I added a variety of ingredients, mixed things in at different times, seasoned initially, and what was I rewarded with? Bland taste. I’m also a big texture person–I love some crunch and chew to most of my meals. So I’m not necessarily drawn to the idea of cooking down my pantry to mush. Don’t get me wrong, I know there are ways to achieve texture in a soup. And if you don’t incorporate crunch in the soup itself, you can always get satisfaction from the toast you serve alongside! 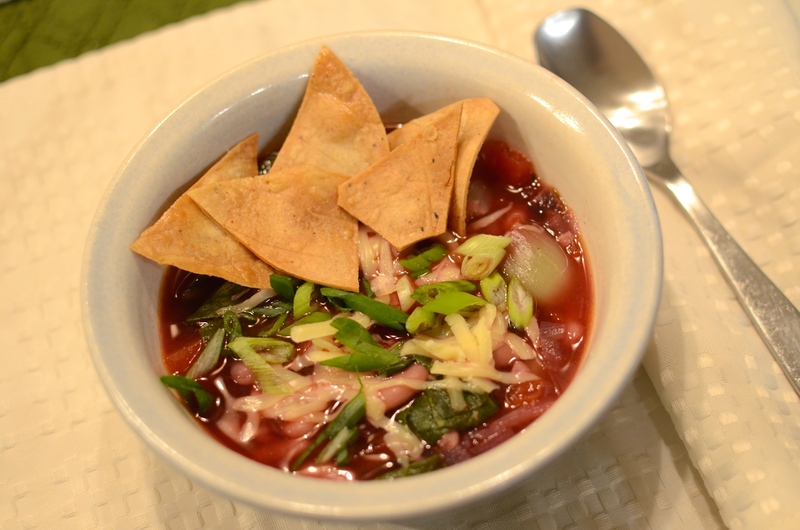 Speaking of soup, check out this Edible Manhattan article about the ladies of the Soup Club. “Formalized food-sharing,” how great is that? If I started a soup club, I’d probably get pretty comfortable with making soup. Last week I had my eye on some CSA bok choy that I had blanched and frozen in the fall. I was also scraping the bottom of a bag of dried Great Northern beans I wanted to use. Time to get creative! Except I couldn’t resist the urge to scan the internet for recipes using bok choy with beans. The selected recipe inspiration happened to help me use up some green onions, tortillas, and cheese too! Diced heirloom carrots I had to use up. 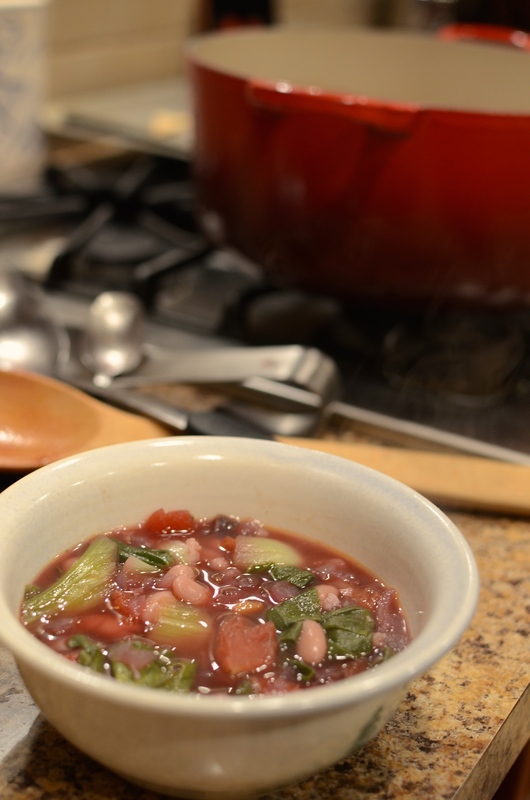 If you’re starting with dried beans, you’ll need to start well in advance to have them cooked. 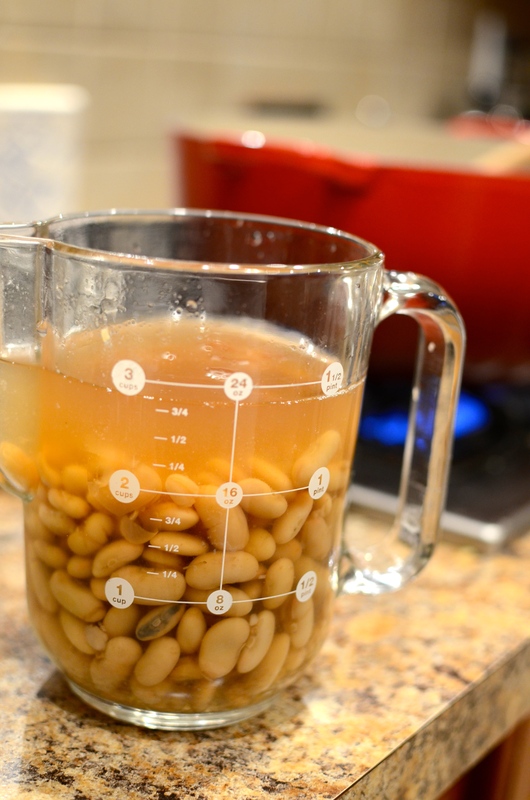 I did both my soaking and cooking the day before, and had the cooked beans in their broth ready to go. 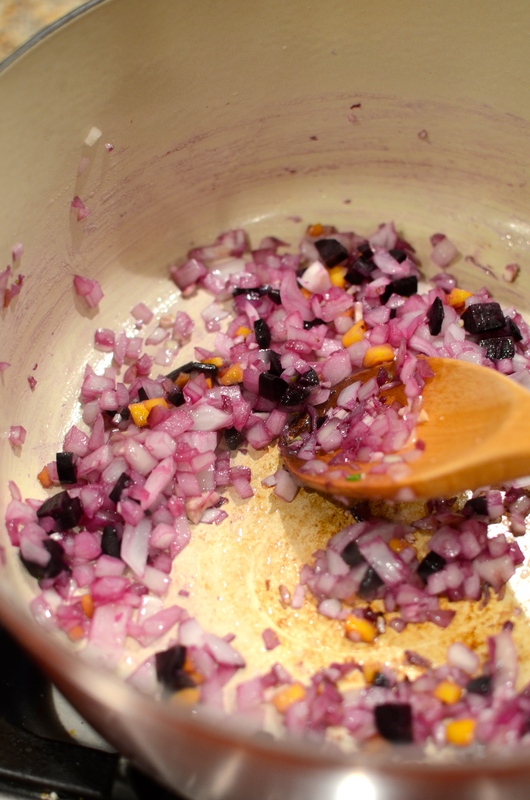 In a Dutch oven or large soup pot set over medium heat, add the olive oil. Add the onion and carrots and cook for about 2 minutes. 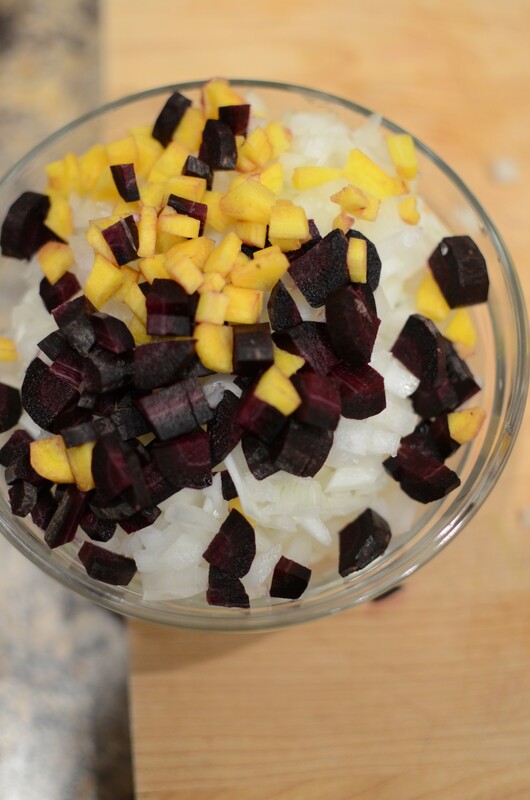 I didn’t realize that the purple in the carrots would be so dominant! Stir in the garlic. Saute for a few more minutes to soften the vegetables. 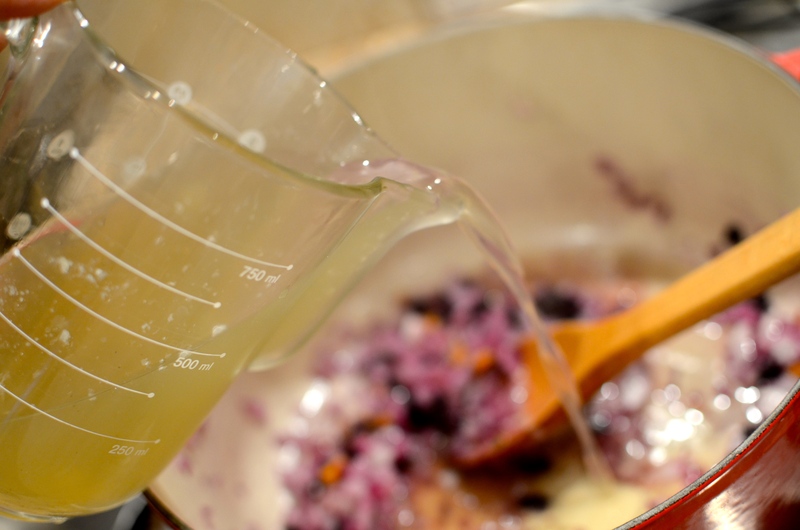 Pour in your stock. 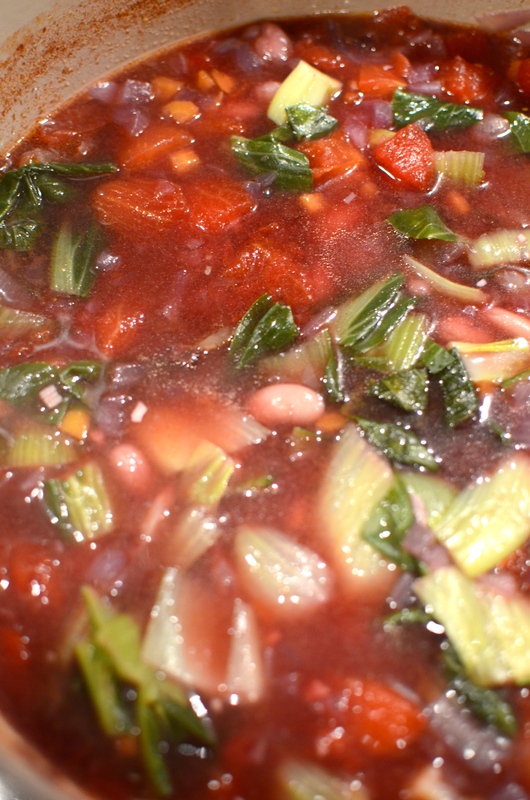 Add the beans, tomatoes, ground coriander, and cloves. 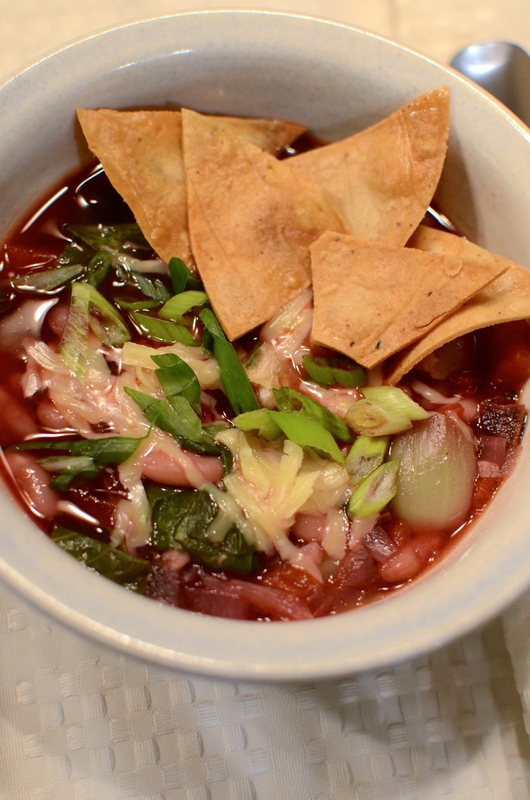 Raise the temperature to bring the soup to simmer. Taste for seasoning and add a little salt. At this point, I also added a little dried basil and oregano. This would be an excellent time to toss in one of the Parmesan rinds you have in your freezer. Of course I forgot. I might need to resort to the old post-it-note-reminder-stuck-to-the-stove-hood trick! 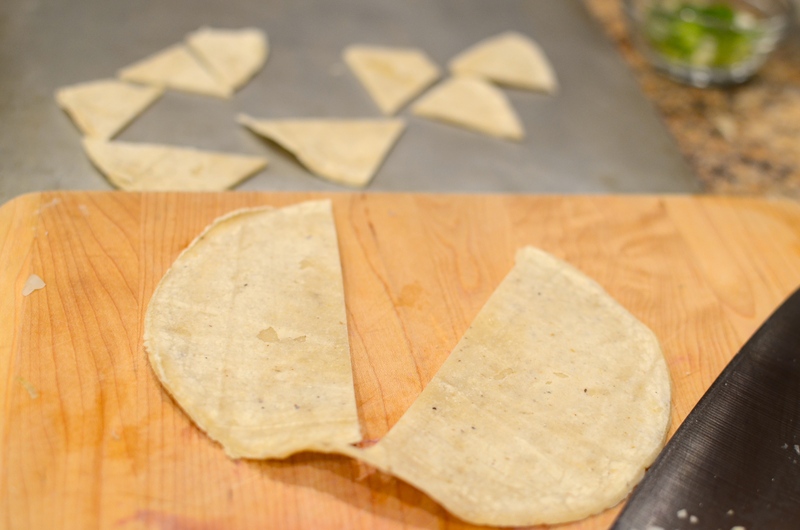 While the soup simmers, cut up your tortillas in to wedges to cook. 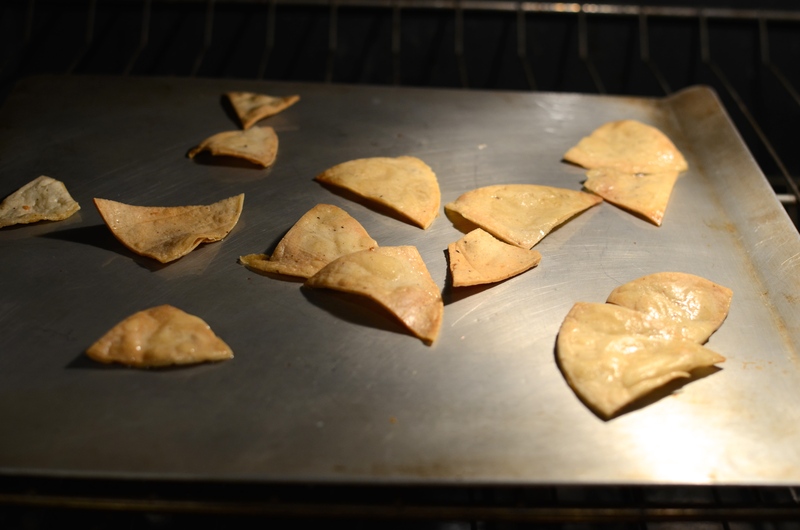 Turn the oven to 350 degrees F. Spray or coat the tortillas with a little olive oil and put on a baking sheet. Bake until lightly browned, checking frequently and turning once, halfway through. Remove and sprinkle with salt. Taste the stew and add more salt and pepper. Add the bok choy and bring up to temperature to finish. Yep, that’s an interesting color. Top with some shredded cheese and a few tortilla chips. 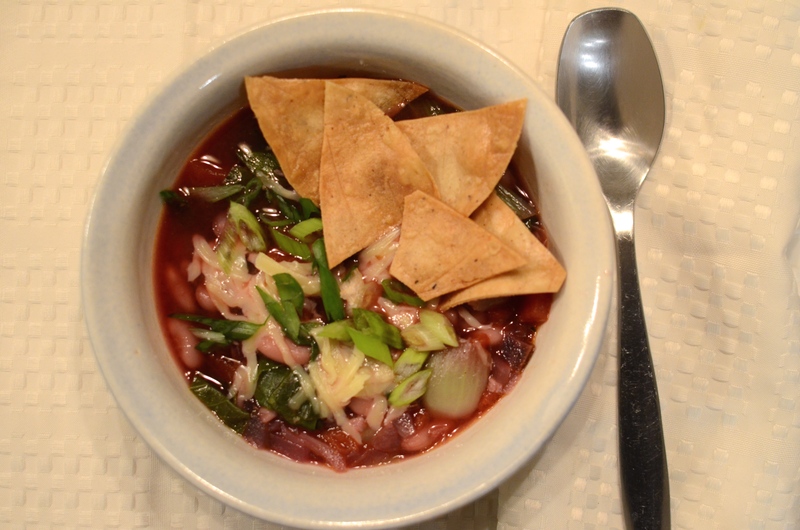 This entry was posted in Recipes, Soup, Tomatoes, Vegetables and tagged beans, bok choy, soup, stew, tomato. Bookmark the permalink. This looks amazing 🙂 I will definitely give it a try! Thanks Becca! Let me know how it goes, and what ingredients you end up switching in and out!